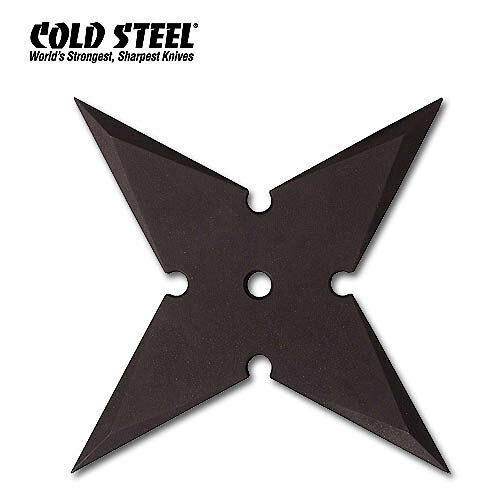 Cold Steel Sure Strike Throwing Star | BUDK.com - Knives & Swords At The Lowest Prices! This throwing star is constructed from extra thick, laser cut 1055 carbon steel with a black baked on finish. This item is fully sharpened and is sure to stick in the target every time! Cold Steel, 80TS.